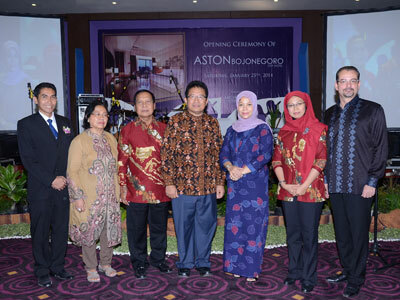 Bojonegoro, East Java, 29th January 2014 - The 3rd week of January was held the soft opening of Archipelago International's anticipated Aston Bojonegoro City Hotel. Just 5 minutes form the city center, train station, government offices and the banking district, this nie build will be both convenient and bussiness-friendly. The Aston Bojonegoro City Hotel is situated in the centre of Bojonegoro; a flourishing regency of North Java's inland plain, about 110km west of Surabaya. Fringing the banks of the largest river in Java – the Bengawan Solo River – Bojonegoro is attracting nationwide attention due to a recent oil field discovery, bringing with it a wealth of savvy business travelers. Responding to this rapid economic development, the Aston Bojonegoro City Hotel has been conceptualized to become the leading international 3-star hotel in the region, catering to the increasing domestic demand for contemporary, quality, and business-friendly hotels in Indonesia. Conveniently so, the hotel is located in the heart of the city, close to a number of business and government offices. The hotel will be an international standard 3 star hotel, boasting 134 stylishly bedecked rooms and suites. Savvy business travelers will be well catered for with innovative meeting rooms and a grand pillar-less ballroom that can accommodate up to 600 guests. Leisure travelers will enjoy the luxurious outdoor swimming pool, fully kitted out fitness center and an indulgent day spa. Sumptuous food and beverage outlets will include an all-day dining café and Bojonegoros's first and only upscale hotel bar & lounge. Seen in the image – Mr. Joko Suparno as General Manager as Aston Bojonegoro City Hotel, Mr & Mrs H. Amari as Commissioner PT Andalan Mandiri Raya, Mr & Mrs. Drs. H. Suyoto M.si as Regent of Bojonegoro, and Mr. Norbert Vas as Vice President of Sales & Marketing Archipelago International during Press Conference of Soft Opening Aston Bojonegoro City Hotel. Seen in the image - Mr. Drs. H. Suyoto M.si as Regent of Bojonegoro signing on the inscription stone accompanied by Mr. Norbert Vas as Vice President of Sales & Marketing Archipelago International, Mrs. Amuringtyas E.S.H as Managing Director PT. Andalan Mandiri Raya and Mr. H. Amari as Commissioner PT Andalan Mandiri Raya. 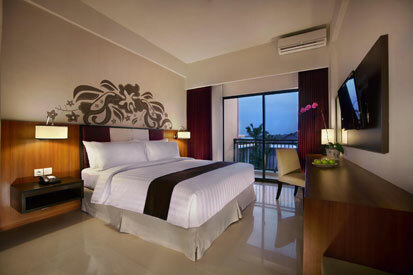 The Deluxe Room of Aston Bojonegoro City Hotel.